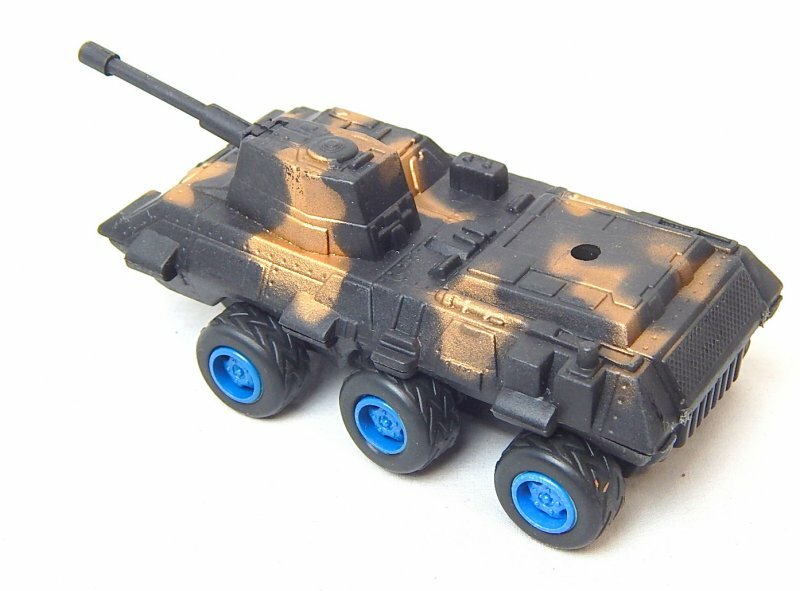 Modern Style 6 wheeled black camo Plastic Armored APC Car. Approx 5" long, 2" wide, and 2" tall. 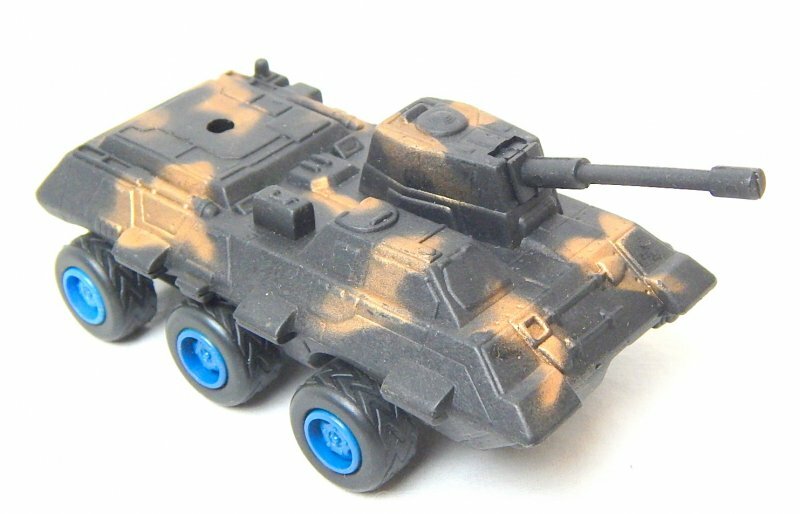 Free moving wheels...1/32 54mm soldier for scale only and not included...good modern style light armored car!